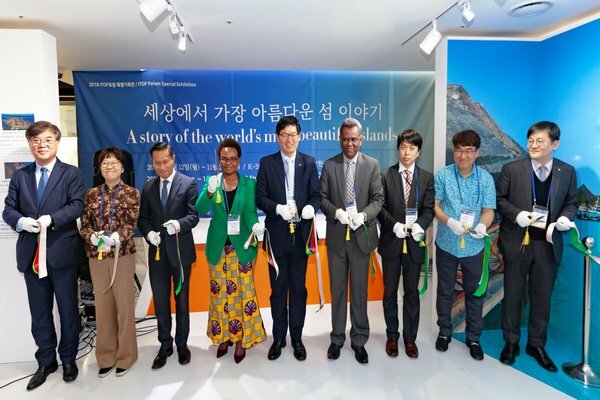 The Embassy of Sri Lanka in the Republic of Korea participated in the opening ceremony of the Inter- Islands Tourism Policy (ITOP) Forum Special Exhibition and Food Culture Experience Program organized by the Jeju Special Self-governing Province, and sponsored by the Korea Tourism Organization, under the theme of “A story of the worlds’ most beautiful islands” in Seoul on 12 November 2018. 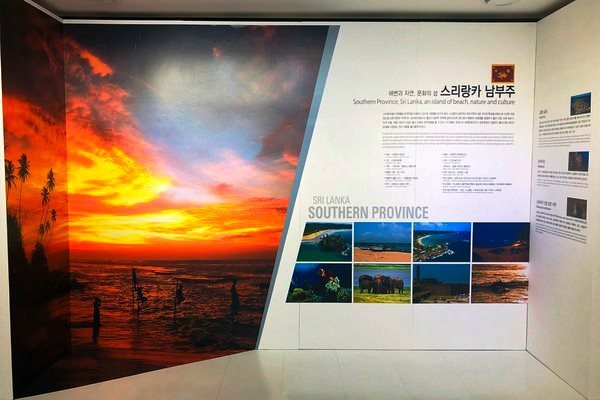 The exhibition is open to public until 21 November 2018. The paintings displayed at the exhibition showcased beauty of the Southern Province of Sri Lanka. The Southern Province is a member of the ITOP from 2004. 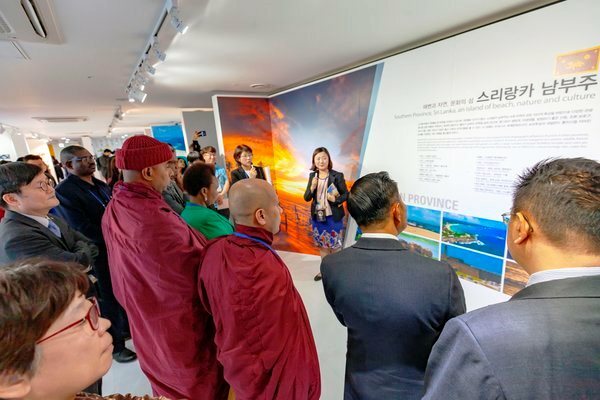 Representing Sri Lanka at the event Chargé d' Affaires a.i Jagath Abeywarna of the Embassy of Sri Lanka appreciated efforts of the organizing committee for selecting Sri Lanka for the exhibition.